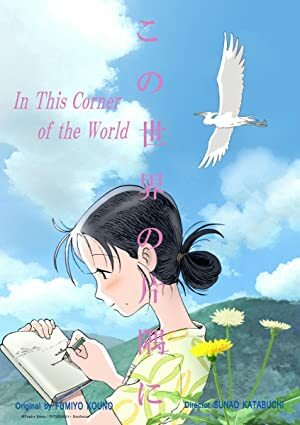 In This Corner of the World (2016) – What's New on Netflix Canada Today! Kono sekai no katasumi ni (original title) – Set in Hiroshima during World War II, an eighteen-year-old girl gets married and now has to prepare food for her family despite the rationing and lack of supplies. As she struggles with the daily loss of life’s amenities she still has to maintain the will to live. Suzu marries into a family living outside of Hiroshima and quickly settles into her new life, until World War II challenges her ability to survive.